Come enjoy our single vineyard chardonnays paired with lobster in our beautiful courtyard! 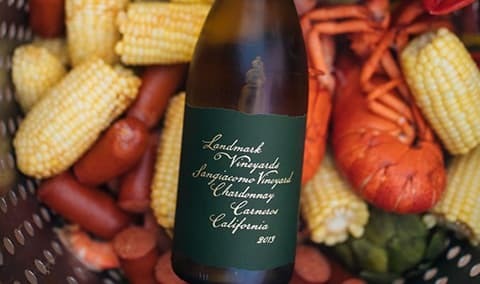 Join us for our 3rd Annual Lobster feed at Landmark Vineyards on Friday, September 21st. Wine tasting will begin at 6pm and once all the bibs are tied, steaming pots full of lobsters, succulent prawns, hot links, artichokes, new potatoes, onions, and corn will overflow the table. It's all topped off with fresh sourdough baguettes, & drawn butter alongside Landmark's Single Vineyard Chardonnays. Limit 4 tickets per member.